In honor of this holiday, here are a couple of pictures of the original "Radio City," Rockefeller Center. Notice the difference between these two shots? 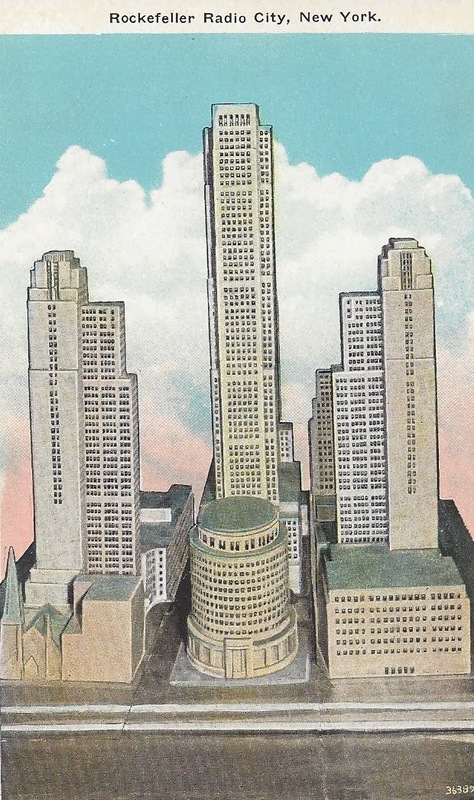 The top postcard depicts Rockefeller Center before it had even been built. The low building in the foreground had originally been designed to be the home of the Metropolitan Opera, the anchor tenant of the center. 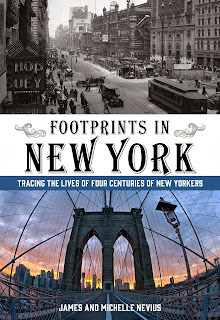 The building -- known somewhat affectionately as the "hatbox" -- was to have been a state-of-the-art theater, replacing the opera company's outmoded and cramped headquarters on Broadway just south of Times Square. However, internal struggles at the Metropolitan Opera, where the building and the performance company had separate boards of directors, squashed the deal. The Met would not find a new home for another three decades, when its current theater at Lincoln Center went up. When the deal between the center and the opera company fell apart, John D. Rockefeller, Jr., had to scramble to find a replacement, ultimately choosing RCA, whose broadcasting arm, NBC, is still headquartered there today. This top postcard must have been produced sometime between the time the opera pulled out -- since it is labeled "Radio City," a nod to NBC's primary mode of broadcasting in those days -- but before the hatbox was removed from the plans. 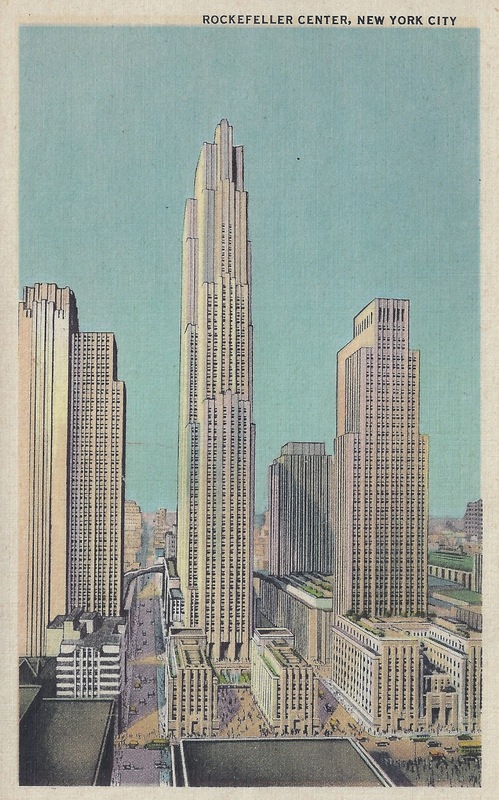 The second postcard depicts the center as actually built. At the front are two of the center's international buildings, La Maison Francaise and the British Empire Building. These two short office towers are one of the topics of our Rockfeller chapter in Footprints in New York.